The Bus Buddies project is NOW AVAILABLE across Pembrokeshire! 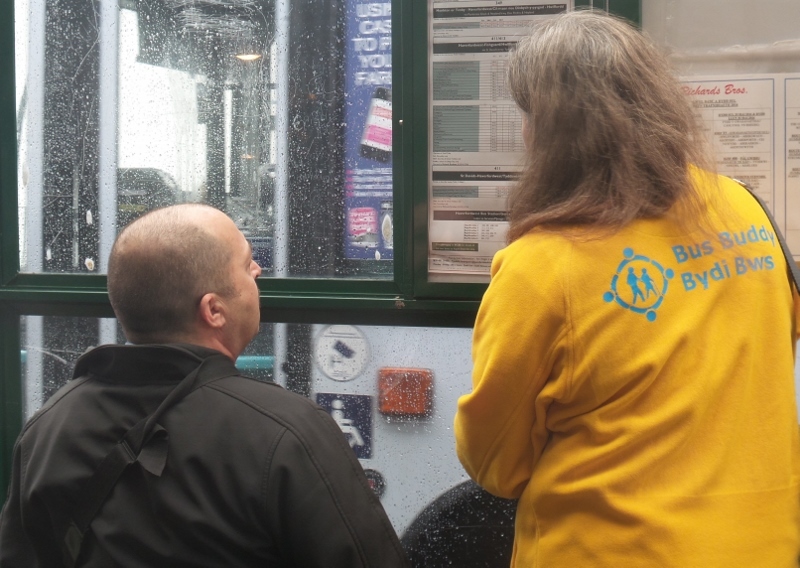 We pair volunteer bus buddies with people who need extra support to use public or community transport services, due to to physical, sensory or mobility impairments (including wheelchair users), mental health or learning difficulties or social issues. We can help people who don't currently travel at all and existing passengers who would like to get out more. The Bus Buddy service is free of charge, but normal bus or community transport fares will apply. The service is tailored to the needs of individual passengers: some people want to build their confidence to be able to travel independently, others need practical help on and off the bus with their shopping, and around town. We can offer support and/or companionship in the vehicle during the journey, at the destination and on arrival home afterwards, as required. Please note we do not provide personal care. We welcome self-referrals and referrals from family members, health and social care professionals and third sector partners. The project was developed after research linked lack of transport with the negative health impacts of loneliness and social isolation, and identified that very elderly people, people on low incomes, and those in the poorest health find transport particularly difficult. Adrian Davies, Chair of PACTO, said “We want to break down barriers to travelling on public and community transport services, so that everyone has the chance to get out and about”. We are grateful to the Big Lottery Fund for funding the Pembrokeshire Bus Buddies Project, and to the Welsh Government for funding the original pilot project in 2015 through the Caring Communities Innovation Grant administered by PAVS. We are now looking for volunteers across Pembrokeshire, particularly in the Pembroke Dock, Tenby and Fishguard areas. Friendly team, flexible hours, expenses paid, training offered! For information, to make a referral, or to find out about volunteering, please call us on 01437 770119 or email us at busbuddies@pacto.org.uk.